It takes real preparation and some serious safety skills to make it to the National Truck Driving Championships. 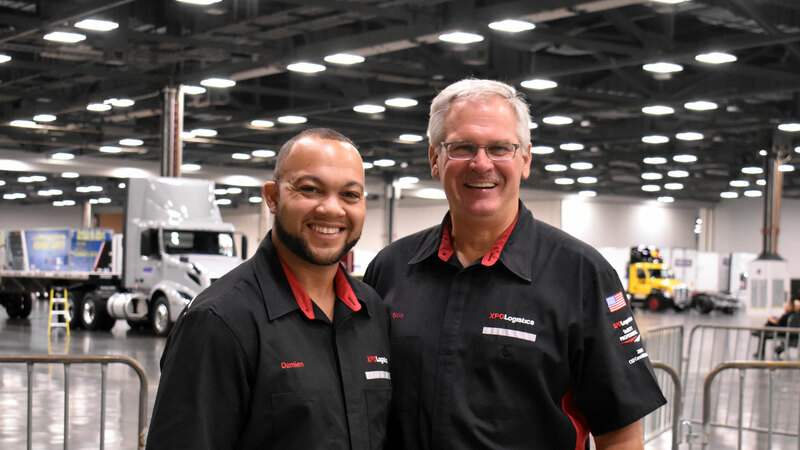 This year, two of XPO’s drivers took very different paths to the trucking competition – but they share a similar love of excellence. It’s known among drivers as the Superbowl of Safety. The National Truck Driving Championships are a staple of the industry, an annual test of the knowledge, safety awareness and driving skills of America’s best truckers. Thousands compete at qualifying events across the country, but only drivers who take first place in each of eight divisions at state competitions get to move on to Nationals. This year’s championship in Columbus, Ohio hosted over 400 of the country’s most accomplished drivers, with 27 from XPO making the cut. Some, like Pennsylvania driver Bob Dolan, have competed for decades. Others, such as Louisiana’s Damien Hebert, participated for the first time this year. Bob’s and Damien’s careers followed very different routes, but the NTDC veteran and rookie have a lot in common. It might seem strange to think of Damien as a rookie, but the NTDC is a unique challenge. Many drivers work for years to make it to the national level, and the ones who manage it consistently are revered. It took Damien six qualifying attempts, but this past March he finally took first place in the Twins class in Louisiana, pulling two daisy-chained, 28-foot trailers all the way to a spot at Nationals. At 60, Bob Dolan has achieved just about everything possible as a professional trucker. He’s served on Pennsylvania’s Road Team, travelling around the country as an industry ambassador, and has taken six different first-place wins in various divisions at the Nationals – including the ultimate prize of Grand Champion in 1990.